Mortal blade is a key item in Sekiro: Shadows Die Twice. Also known as Fushigiri, this weapon has the ability to kill the undying. You can get it about halfway through the game, but you have to complete a series of steps. 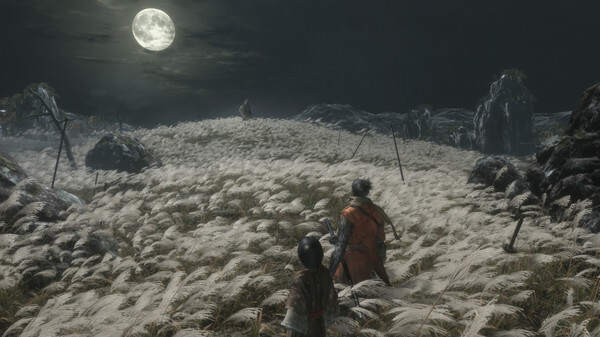 If you’re wondering how to get it, this guide will show you Sekiro Mortal Blade location, but keep in mind, there will be HEAVY SPOILERS from here on out. Proceed at your own risk. Where to find mortal blade? The first step towards getting this weapon is killing Genichiro Ashina, the man who cut of your arm in the prologue. You’ll get to fight him at the top of Ashina Castle, in a tense, two-phase battle. Once you’ve dealt with him, you’ll free Lord Kuro. Talk to the Divine Heir, and he’ll send you to Senpou Temple. As you explore the Mt Kongo area and the temple itself, you’ll find a Sculptor’s Idol called Main Hall. In the same room where that idol is, you’ll find a table with a row of candles and statue behind it. On the table will be a bell. Ring it, and you’ll be whisked away into the Halls of Illusion. In this area, you’ll have to defeat a boss that’s kind of a puzzle. It’s called Folding Screen Monkeys, and it involves sneaking about and killing the four monkeys that have special abilities. It’ll take a few tries, but it’s nothing too difficult. You can use the Illusive Hall Bell you got on your way there to restart the puzzle at any point. Once you’re done with the monkeys, you’ll be transported to the Inner Sanctum. Go into the building and talk to the girl who turns out to be the Divine Heir of Rejuvenation. When you explain your intentions, she’ll give you the Mortal Blade, along with a handful of other, useful items.